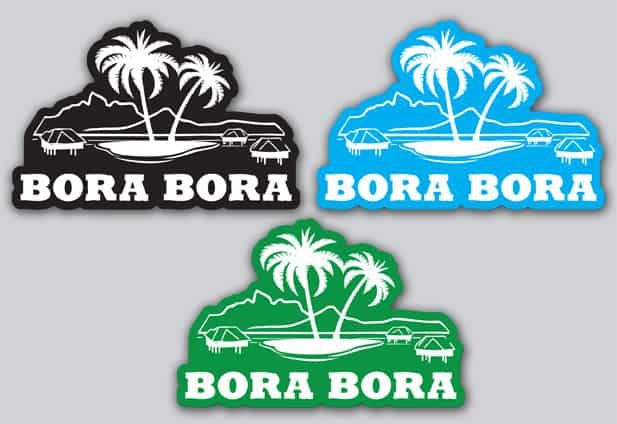 Bloody Mary’s Bora Bora Restaurant and Bar is a must stop attraction for visitor’s and locals to the Bora Bora island. Many famous celebrities such as the Laker’s Head Coach Phil Jackson and even the Kardashian’s have dined at this favorite Bora Bora restaurant. As you enter the restaurant, you are greeted by the friendly staff of Bloody Mary’s. You can either grab a few island-inspired drinks at the tiki-themed bar or be seated for dinner. The open air restaurant provides a fun and comfortable ambiance. Flip flops are encouraged, especially since the floors are covered in sand, making you feel like you never left the beach. The handcrafted table and seats are made of wood, and interesting local art is scattered around the restaurant. The bathrooms alone are a sight to see, but you have to experience for yourself, but we promise it will be memorable! For patrons looking to sip on Mai Tai’s and other island-inspired drinks, Bloody Mary’s opens their bar at 9:30 am for an early start. Lunch is served from 11 am to 3 pm, consisting of sandwiches, house specials, and salads. Dinner service begins at 6 pm, and is a must see experience! Bloody Mary’s is open daily except Sunday’s. Bloody Mary’s Restaurant and Bar is more than just pizza. The restaurant provides an exciting culinary adventure for a real foodie. Dinner features Bloody Mary’s world famous seafood display. You can find the most exquisite and mouth watering daily catch from the local fisherman of Bora Bora presented on ice. It is a custom that the host guides the guest through the evening’s menu, and once you stop drooling, your order is taken directly to the chef. The menu features the freshest seafood and a vast variety of irresistible options; mahi mahi, scallops, opa, ahi tuna, swordfish, marinated beef ribs, kabobs, and crispy fried calamari are just some of the options. The hardest part is trying not to order one of everything! Description: Each evening (except Sundays), the daily catch of the local fishermen from Bora Bora is displayed on ice, where after an explanation of exactly what’s available on your particular evening, the host takes your order directly with the chef.